Today's blog is part of a series of blogs about how to make money with food-based businesses. To read the whole series, click here. 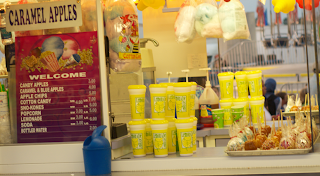 A really good way to make money is to sell things at Fairs. Fairs are fun and EXPENSIVE. 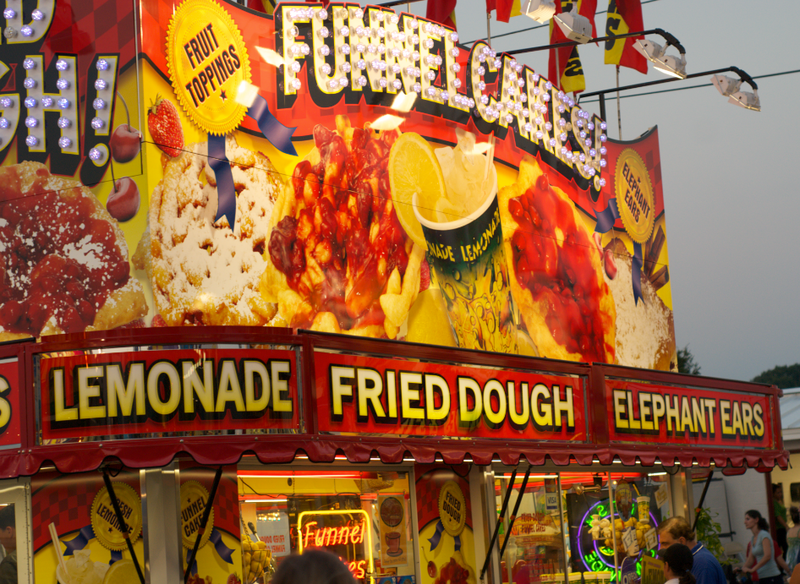 For some reason whenever people go to Fairs and/or Carnivals* they spend money. Tons of money. It usually costs about $4 for a 30 second ride. Along with the rides being expensive, the food is ridiculously expensive. I was blown away by the fact that "fresh squeezed" lemonade cost $6. 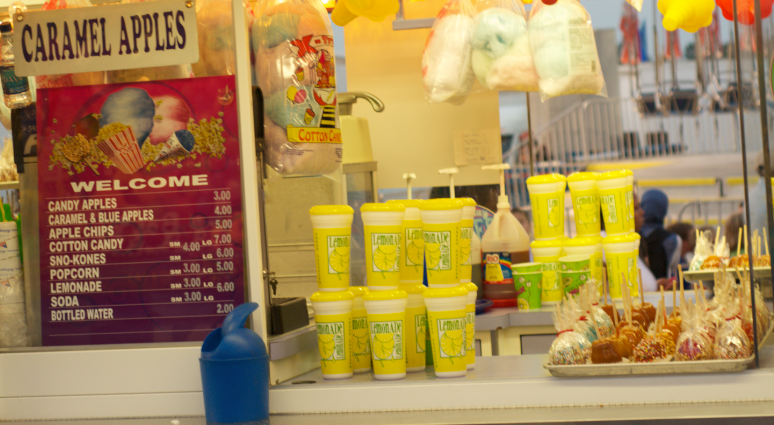 The "fresh squeezed" lemonade consisted of 95% ice, 4% water, and 1% Countrytime lemonade mix. 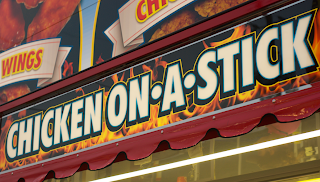 Also a good thing to sell.... food on a stick! Everyone knows food always tastes better on a stick. 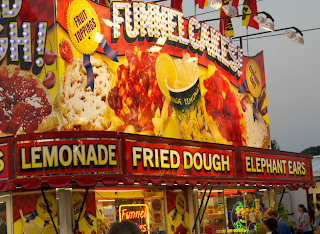 *Is there a difference between a Fair and a Carnival? Convenience is the mother of all invention! Hard work: the only way to make money! blogsvertise is not a scam!